Product prices and availability are accurate as of 2019-04-23 18:18:56 UTC and are subject to change. Any price and availability information displayed on http://www.amazon.com/ at the time of purchase will apply to the purchase of this product. Sunny Belt is a family owned and operated company established in Montreal, Canada in 1987. 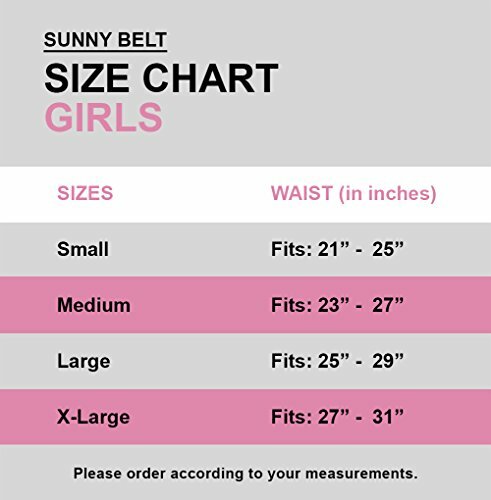 We are a strong leader in the manufacturing and importing of ladies, men"s and children"s beautiful and affordable fashion belts. We take pride in our products and boast a vast array of trendy, classic and fashionable belts in: Faux and Vegan leather and suede, elastic, military canvas web, metal chain and satin, all adorned with buckles, hardware and trim in a large selection of colors, finishes and textures. The belts are manufactured in our factories in both Montreal and China to produce consistent, well-made and stylish products. Our designers are inspired from the latest styles and fashion trends in cities all around the world.